Among a variety of concept phones with touchscreens there are also a few devices with wrap around screens, that usually make a lasting impression on us. 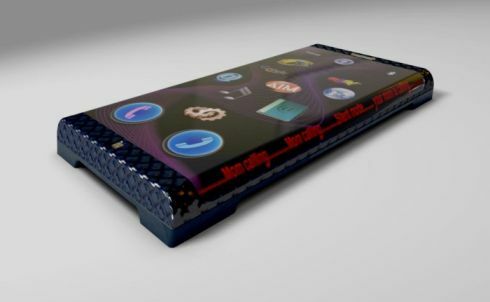 Eric Strebel’s latest work can be seen below, a smartphone with a huge touchscreen and a pretty hot interface. We’re dealing with a handset that comes with an e-ink screen that can also display information on the side of the device. More than that, the phone also includes a sliding keyboard, aside from the touchscreen plus indents that make the handset easy to pick up.